I've been craving pumpkin! It's everywhere this time of year; pumpkin pie, pumpkin bread, pumpkin ice cream and who can forget the famous Pumpkin Latte at Starbucks! To help satisfy my pumpkin craving, I baked these delicious pumpkin muffins to go with my Pumpkin Latte. I know, it is a bit overboard, but I love pumpkin! 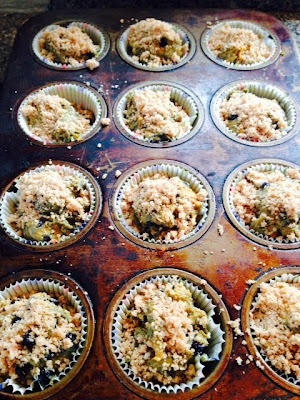 I found this recipe and added a few of my special touches to come up with this Holiday Pumpkin Pie Wild Blueberry muffin. It satisfies every pumpkin craving you may have - moist, full of pumpkin flavor and just plain delicious! 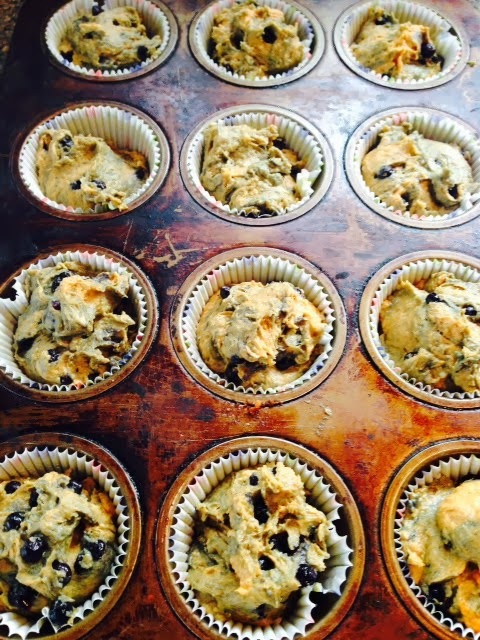 Whether your craving pumpkin or just looking for a recipe for a delicious muffin, give this recipe a try! 4. 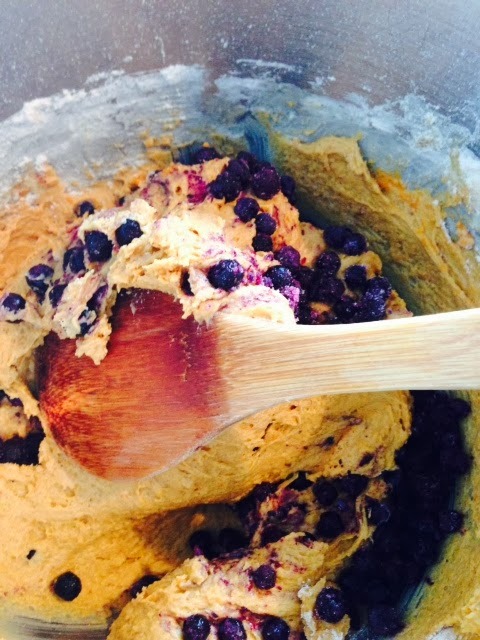 With a standing mixer or hand mixer, beat the butter and sugar together. Add vanilla and Egg. 5. 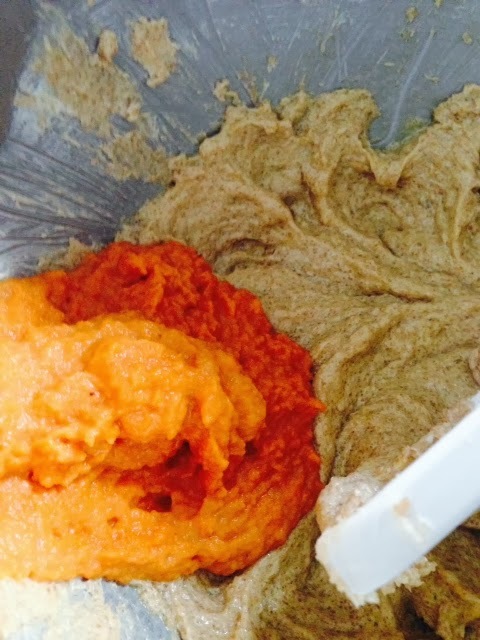 Add flour mixture and pumpkin to the butter mixture in two aparts. Start with the flour and send with the pumpkin mixture. 9. Bake for 30 minutes or until toothpick inserted in center comes out clean. Remove from oven and allow to cool. Take 2 tablespoons flour, 2 tablespoons granulated sugar and 1/4 teaspoon cinnamon and 1/4 teaspoons pumpkin pie spice. 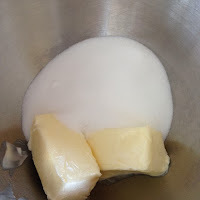 Add 1 tablespoon of cold butter. 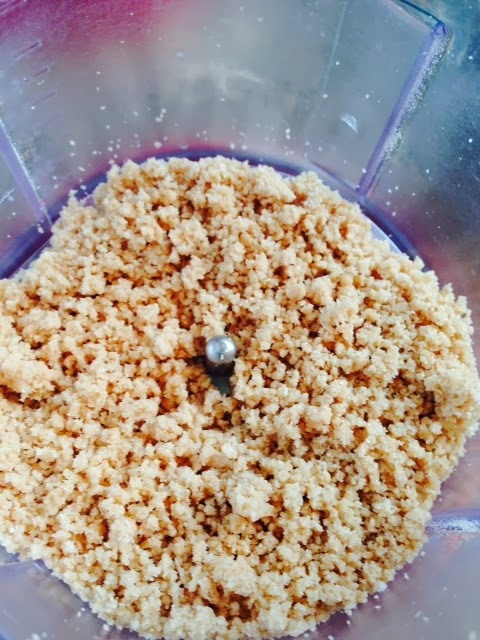 You can make the crumb with either a fork, and press down until you create a crumb or use a food processer and pulse until the crumb in created. This little cupcake has made a name for itself! Faye and I recently catered dessert for our friend Cami's wedding in October. She requested that one of her desserts be a Churro Cupcake. (We also made, mini cheesecake with fresh strawberries, vanilla cupcake with passion fruit filling and frosting, mini chocolate cream pies, mini banana cream pies and assorted fruit tarts and the now famous Cami's Churro Cupcake.. this bride know her dessert! ) So after a few trials and errors, I came up with this delicious result! I have made this cupcake for two other events and every time it is hit. Faye also made a batch for our October Halloween party. So like I said , this cupcake definitely has a good reputation! The cake is moist and flavorful, with a little hidden surprise of Dulce de Leche caramel in the middle. Top it off with Cinnamon Cream Cheese frosting and a crispy churro on the top. There are quite a few steps for this cupcake but they're so worth the effort. 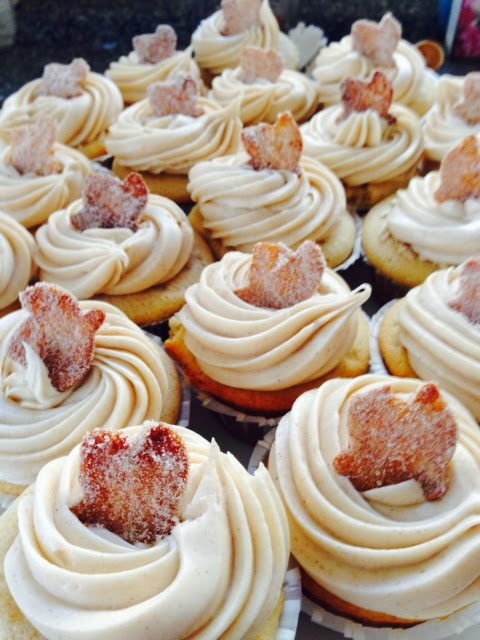 I really hope you give this Churro Cupcake a try. As for Cami and Tim's Wedding , it was beautiful! The Bride looked gorgeous, Groom handsome and the wedding amazing. Faye and I wish them nothing but happiness in their future and we thank them for letting LIVEBAKELOVE be a part of it. 1 . Preheat oven to 350f. 3. 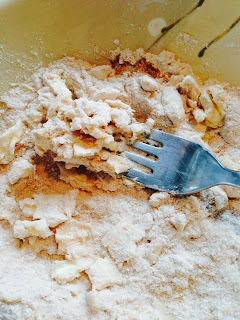 In a large bowl, add both flours, baking powder, salt and cinnamon. Whisk to combine. Set aside. 4. 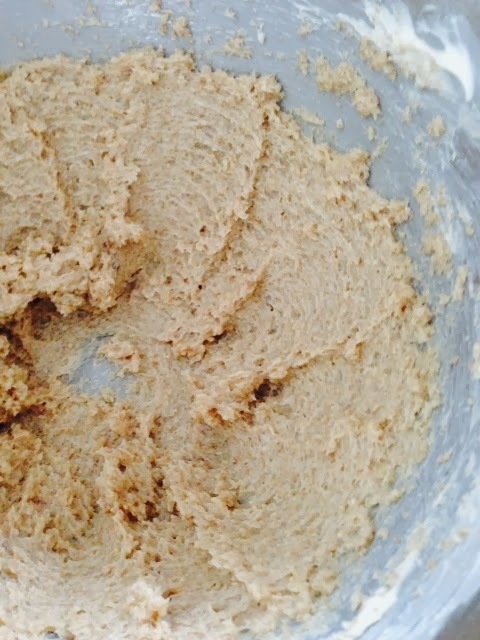 In a large bowl using electric hand mixer, beat the butter and sugar together until light and fluffy (approx. 2 min). 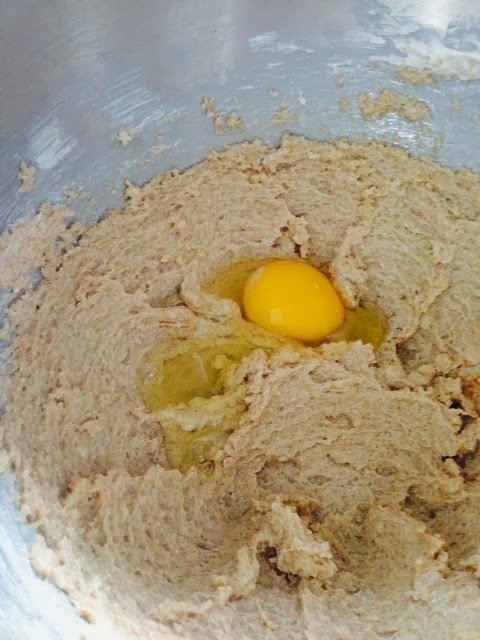 Add the eggs one at a time, mixing after each addition and scraping down the bowl as needed. Beat in the vanilla extract. 6. Divide the batter evenly between the lined cupcake pans filling each cup approx. 3/4 full. 7. Bake at 350f for approx. 20 minutes until the centers are set and a toothpick inserted in center comes out clean. 8. Remove from the pan and place on a wire cooling rack to cool completely. 9. 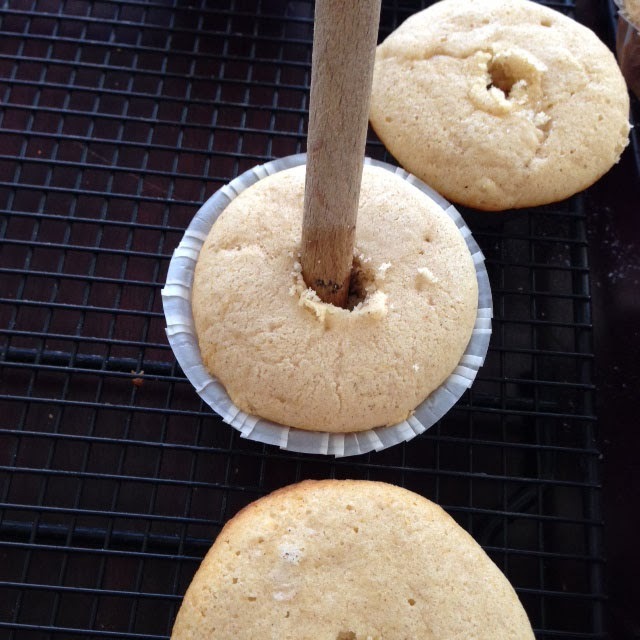 Once the cupcakes have cooled, take a wooden spoon and make a hole in the center of each cupcake. 10. 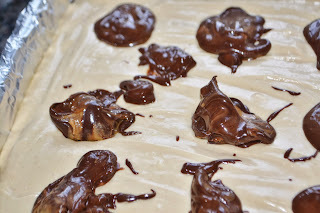 Use a pastry bag with a round tip (or just cut the tip off of a plastic storage bag) and fill it with the Dulce de Leche filling. 3. Gradually mix in the powdered sugar to achieve desired consistency. If frosting is too thick, add the milk. 4. Frost and decorate the cupcakes as desired. Have you tried the Cookie Butter Cocoa Swirl spread from Trader Joe's yet? I have always been a big fan of Cookie Butter (aka Biscoff knock-off) since back in the day, but Trader Joe's really took the concept to another level with their Cookie Butter Cocoa Swirl. Amazing! One taste and I knew I had to create something with it that allowed its' amazing flavor to shine. 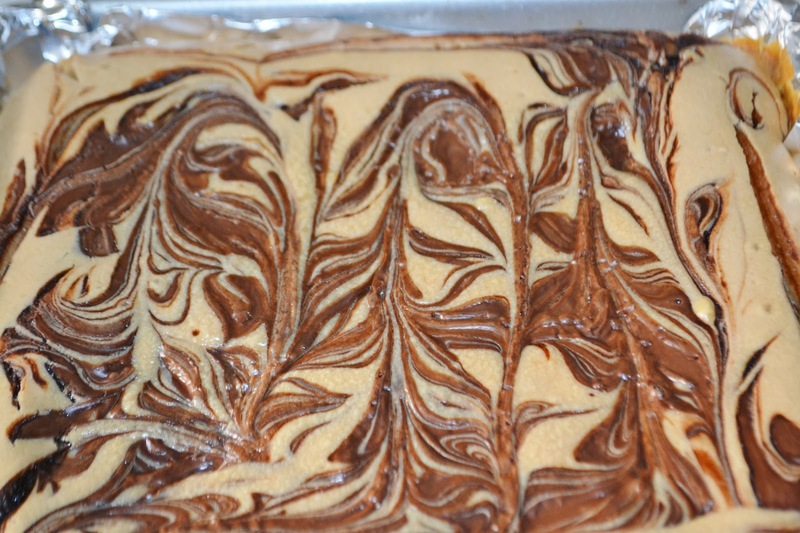 I tried Blondies with the Cookie Butter swirled into it, but the flavor got a little lost and I wasn't happy with the results....then one day, on my drive to work, inspiration struck and my old stand-by, Cheesecake, came to mind (you really can make cheesecake out of just about anything). 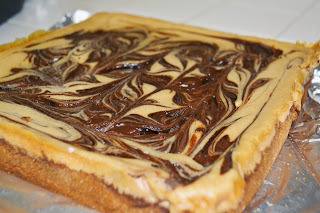 I felt that cheesecake flavored with Biscoff spread baked on top of a Biscoff cookie crust would really hit the mark...and what a winner it was! Creamy, cinnamon-y (is that a word? ), with the flavor of Biscoff...eh I mean Cookie Butter.. throughout. Divine! 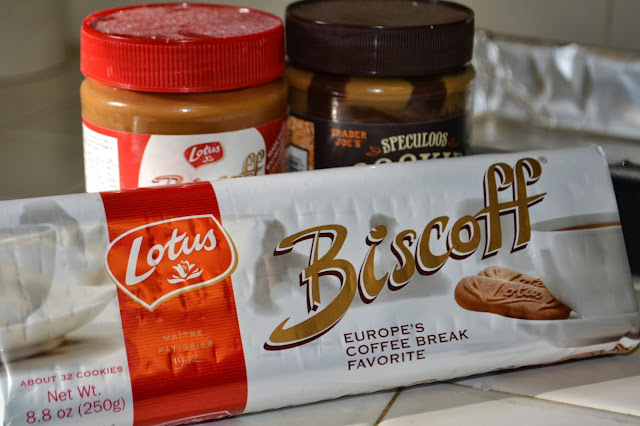 If you love Cookie Butter, Chocolate, Biscoff Cookies & Cheesecake, this recipe is for you! Line an 8x8 or 9x9 square baking pan with nonstick foil or spray regular foil with nonstick cooking spray. 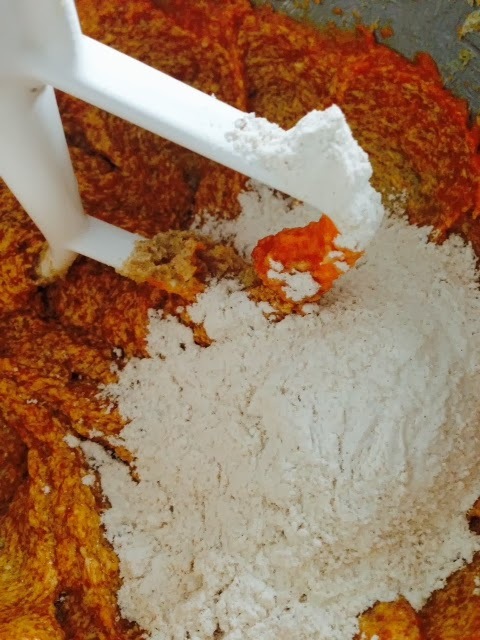 Place the Biscoff cookies in a food processor and process until fine crumbs. 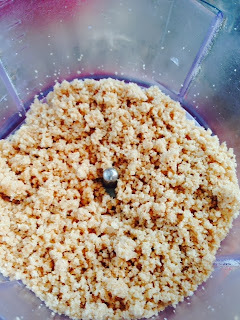 Place the crumbs in a bowl, add sugar and stir with a fork to combine. Drizzle in the melted butter and toss with a fork to combine. 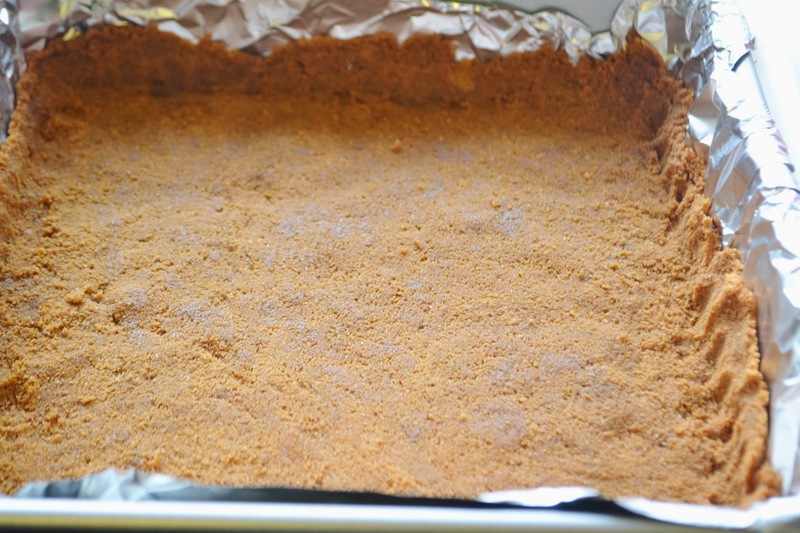 Press the crumbs evenly into the bottom about 1/2" up the sides of the prepared baking pan. Bake at 350 for 7-8 minutes or until lightly toasted/golden brown. Place the softened cream cheese in a large bowl and mix with your hand mixer at med-low speed until creamy (this will take about 30 seconds if you cream cheese is softened properly). Add the sugar and mix at medium low speed until combined. Add the eggs and mix at medium-low speed until combined, scraping down the bottom and sides of the bowl as needed. At this point try to make sure there are no lumps. 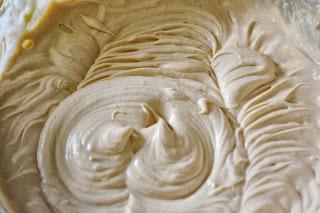 Add the Biscoff spread, vanilla extract, cinnamon and salt and heavy whipping cream mixing at low speed just until combined. Heat the Cookie Butter Cocoa swirl spread in a small bowl for a few seconds just to loosen it up but not long enough for the swirls to dissolve. 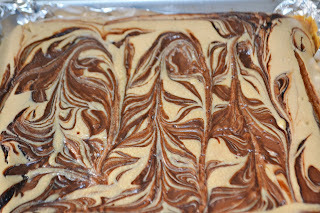 Dollop the Cookie Butter onto the batter and create a swirl pattern using a butter knife or skewer. 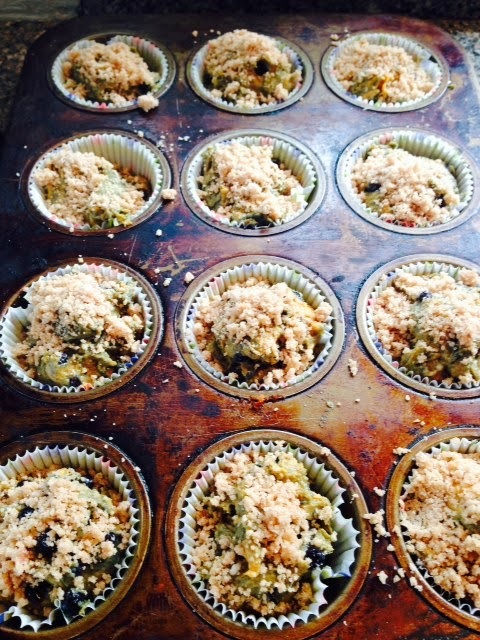 Place on a rimmed baking sheet then bake in the oven at 325f until set. This should take about 40-45 minutes, but all ovens are different so your actual baking time may vary. Remove from oven and transfer to a wire baking rack to cool completely. The cooling process should take place slowly to help prevent cracking so try to cool in a draft free spot to prevent sudden temperature change. Once the bars have cooled to room temperature, refrigerate them for several hours or overnight to allow them to set. 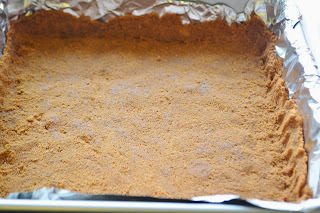 Remove from the pan using the foil liner. Cut & serve! Store leftovers tightly covered in the refrigerator for up to 3 days.